Summer is just around the corner and many Calgarian parents are in planning mode. Whether it’s their first time away or their fifth, worrying about summer camp is never easy! What should I pack? Drama or basketball? What do I do if they get homesick? Residential or day camp? We’ve got you covered with this round-up of our best-ever camp articles. Whatever your worries, we can help! Still looking for the perfect camp? Don’t forget to check out our 2017 Summer Camp & Program Guide for a huge range of options for every interest, age, and budget! How to Handle Homesickness (Without Bringing Kids Home) by Heidi Smith Luedtke, Ph.D. 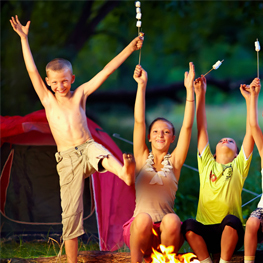 The 4-1-1 For First-Time Campers by Richard Bavaria, Ph.D. This entry was posted in Uncategorized on May 17, 2017 by Calgary's Child.